Did you know that you are an unrestricted free agent? The Club strongly encourages all of our athletes to review, inform and educate themselves on all of their playing possibilities. If the athletes’ needs and the Club’s needs align we would be happy to have everyone back. Will be not be re-signing any returning athletes during this period as we want to encourage all athletes to explore their playing options. The Club will be hosting multiple Open House sessions throughout this week and plan to post an electronic copy of our presentation so that those who are unable to attend the sessions will be able to review them. The Club will endeavor to have all of our physical testing, basic skills assessments as well as one on-court session completed for all age groups within this period. The Club anticipates that we will not be in the position to offer any roster spots to athletes during this phase as we will not have had enough time to evaluate the athlete based on just one on-court session. We had 24 teams last season over two genders and 6 age groups ranging from 13U to 18U. We would like to have the same number of teams this season and September 12th to September 14th are week nights leaving at best a four hour window to hold try outs on those nights. We simply do not have enough time slots within the specified period to evaluate the athletes’ on-court skills more than once during the first Tryout Phase 1. With that many teams and the volume of athletes trying out we want to put to rest any talk of us scheduling our tryouts to conflict with other Clubs’ tryout times. Frankly, that would take too much work for us to do and it is completely contradictory to our Club’s position of not re-signing our returning athletes and encouraging all of them to explore all of their playing options. Our scheduling formula is simple – the projected number of athletes trying out in relation to the facility that we have to hold the tryout. As well, we have always held make up sessions if the athlete feels that they cannot miss another Clubs’ tryout and we strongly encourage the athletes to go to the other Clubs’ tryout first if they are in a conflict situation with scheduling. We want to allow the athletes and their families to make the right decision under the best circumstances hence if there is a conflict between our tryout and another Clubs’ tryout please email: info@maverickvolleyball.ca identifying your name, gender and age group and that you have a conflict. We will help you work out any such conflicts to create a solution that maximizes the options for the athlete to tryout for other clubs. We assure you that you will be properly evaluated once you come to our tryout. Athletes and parents should be aware that the main reason for the new policy is to allow athletes and their families to choose the best option for them, and they should not be pressured into making a decision prematurely. If the athlete is offered a roster spot by any Club prior to the OVA's signing date (September 27, 2015) he/she should not feel pressured and has the right to review all of their options. 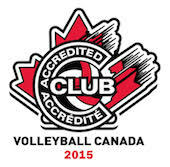 The OVA regulations are meant to ensure that compliant volleyball clubs do not pressure athletes to sign before the established signing deadline. Should this occur, you may contact the OVA head office to discuss: Alishia Lidums alidums@ontariovolleyball.org or 1-800-563-5938. The Maverick Volleyball Club believes we have a formula that works well in evaluating athletes, choosing them, and then training them to succeed. Over the past 5 seasons, our graduates have been offered varsity positions and scholarships on both sides of the border, named All Canadians, made numerous Provincial Teams, and selected to National Teams (both on court and on the beach). We anticipate that during this phase we would have at least evaluated the athletes physical testing results and seen them on-court at least twice and would be in a position to make a decision on the athlete. The Club anticipates that our offers will be made for roster spots on September 25, 2015 with our Club’s official Signing Day to take place on September 27, 2015. The athletes who will receive a roster spot offer will be called by the Head Coaches of the teams after September 25, 2015 and they will provide the details of the September 27, 2015 Signing Day as well as answer any questions for the athletes and their families. What if I don’t receive an offer? Our Club offers House League and developmental programs throughout the year. If you have a desire to learn the game we have a skill appropriate program for you. 1. The athlete should do their “homework” over the summer and ask questions of the Clubs that they are interested in. 2. The athlete should never feel pressured into making a decision on the spot. They technically have until February 1, 2016 to make a roster decision (will miss a significant portion of the season). 3. The prudent athlete considers all their offers together.